“Sorrow in Her Eyes” Tele-Conference | W.O.D.D. 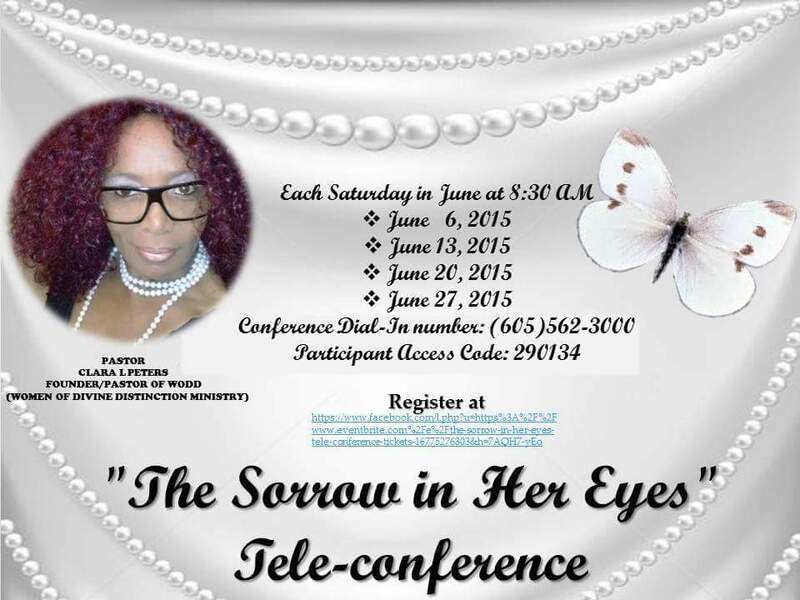 Join me each Saturday in June at 8:30 AM CST for “Sorrow in Her Eyes” Tele-Conference. See flyer for more details and link to register. I missed last week, but am looking forward to gleaming a Rhema Word this upcoming Saturday!!! Love all you are doing!! !